It helps you guide to attain the daily mindful awareness in order to create a lasting change. 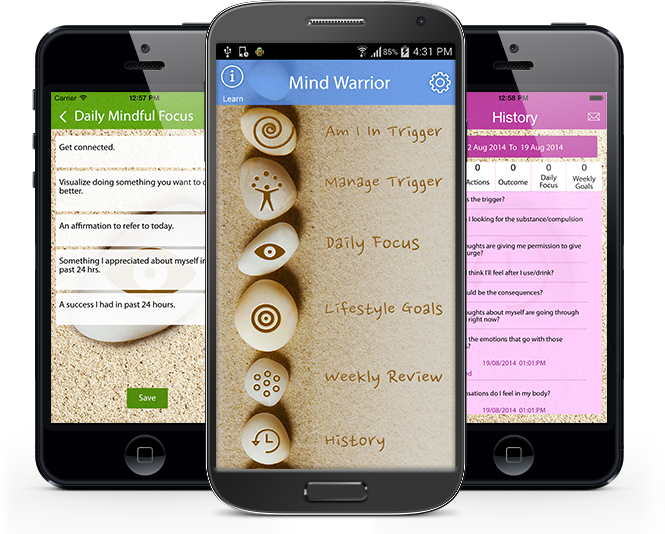 If you are working with a therapist, this app tool can serve as a personal recording of your daily awareness, which can be brought to therapy. It can also be accounted as a daily prompt to do the homework and practice mindfully whatever you are working on. The idea here is to identify the primary actors for whom the system is being designed, write down the use case scenarios for each of them and arrive at a final specification list as an extension of the original scope of the project. Not all people are tough enough to withstand the many changes that one encounters in the course of your life. These reflect in the form of triggers when faced with physical, mental or psychological trauma. Triggers in our daily lives cause split-second reactions from the subconscious “hard-wiring” which drive our thoughts and actions. Unless we become much attuned to those triggers and learn how to effectively "rewire" the reaction, the default wiring wins out.